Wireframe is a skeletal structure of a mobile application that helps in consolidating the ideation process and putting it into something that is more tangible and easy to visualize. The wireframe drawn for the mobile development are also known as “skeleton” or “ blueprint”, as they comprise of a low fidelity presentation of the overall flow of a Smartphone application . 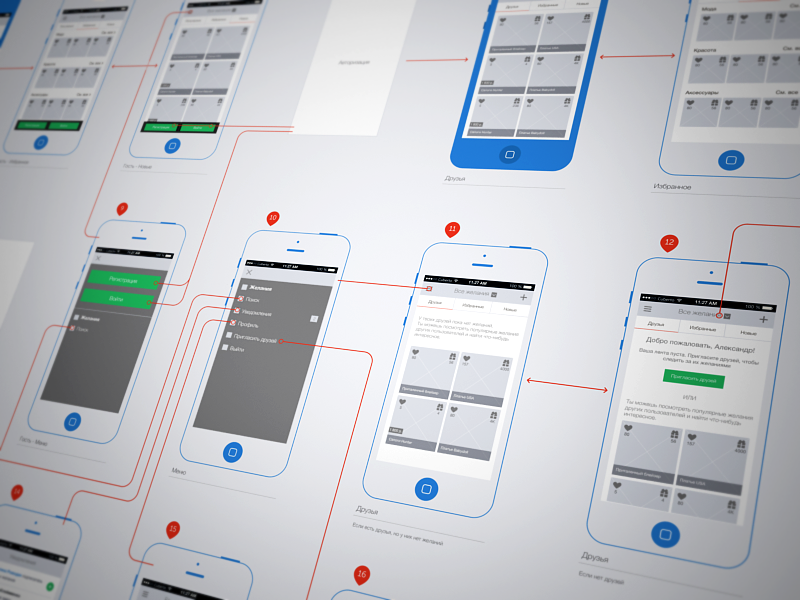 Wireframe act as a backbone in designing of a Mobile app. It plays a vital role in the process of Mobile App Development. Thus it is inevitable to learn and study the importance of drawing wireframes. We will here outline the significance of wireframes in making a mobile app and the reason why most of the mobile app development companies offer clients to share their wireframes before the actual coding starts. C.1 Checking the layout of the app screens: Wireframes give an in-depth understanding of the overall UI and the individual design layout of each screen This helps in chalking out the way in which the content would appear on the app screens. C.2 Measuring app usability and checking out changes: The process of Mobile App Development has constant modifications. If the app is complex, there can be a condition that a plethora of changes are made which makes it difficult for the developer to remember each of them. Thus drawing wireframes helps in fixing the issue. C.3 Understanding the app working process: Wireframes are often referred to as ‘outlines’. They act as a vital link between a theoretical app idea and the final form of application. Thus wireframes helps the developer in understanding the actual working process of the app and the way in which the app idea is going to be deployed. C.4 Facilitates understanding of in-app navigation: The wireframe of a mobile app is a pictorial representation of how the end-users are going to use that app. It helps in knowing the flow of the app and thus help the developers in designing them and in making changes if necessary. C.5 Helps in meeting Deadlines: Most of the Mobile App development companies share wireframes with their clients at every stage. This helps them in suggesting any changes or modifications required to be made in the app. This way the developer ensures that there are no issues in the final delivery of the project and the app is designed well in time. C.6 Giving Cost Advantage : Drawing wireframes helps in minimizing errors. This clearly reduces cost and saves times. The developer gets to know about the shortcomings in the app design before the actual coding starts which helps in detecting the errors thus making the entire process cost effective. This is why wireframes are so important. It is one of the most important designing tool that is needed at the initial phases of any app development process. They are used as a part of app enhancement procedure too. This procedure is done with an aim to set up the fundamental structure of a device before it is visual and the content is included. Next Next post: Split-Design Layout: Bringing Ideas to Reality.